I was tumblring yesterday instead of being an attentive student and found this screenshot under the tag umich. It's from someone who will be attending the university next year and was looking through the LSA course guide. Has 125 always been this divergent? I never took it, something you can probably tell by my writing. Anyways, here is the confirmation that the four credits from this course aren't just ironic, but will help you graduate. 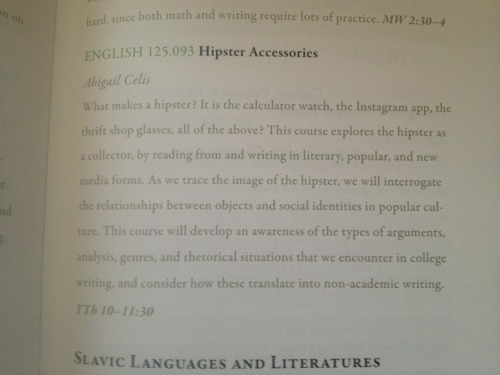 I imagine hipsters would be really self-conscious in this class. I'd love to be a fly on the wall.